Luther and Katharina is a riveting story! Knowing very little about Martin Luther and the Reformation, I was fascinated by the history of this story. Jody Hedlund masterfully weaves facts and fiction, giving breath and life to the people and persecution of the sixteenth century. I enjoyed learning about Doctor Luther and was equally intrigued by Katharina von Bora and the life she lived. These two people endured so much during this tumultuous time, and Hedlund vividly portrays the atrocities, as well as the goodness they, and others, experienced. 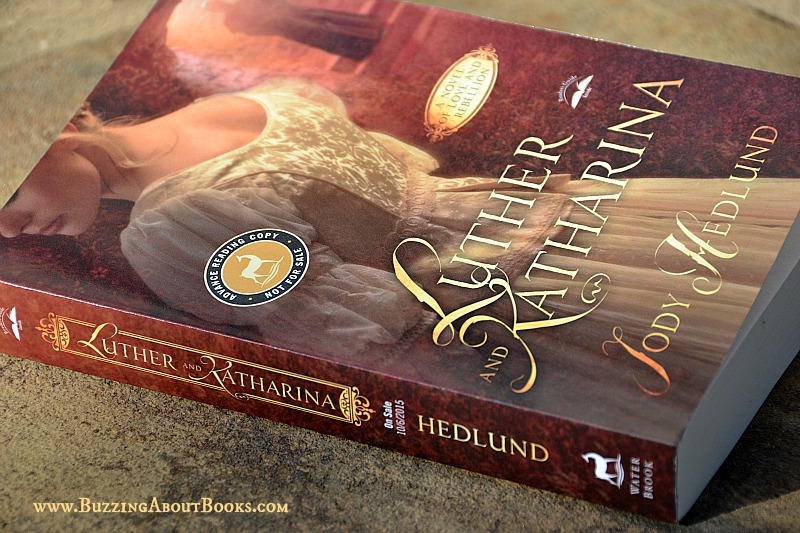 Luther and Katharina is a memorable story and a highly recommended read for fans of historical fiction! 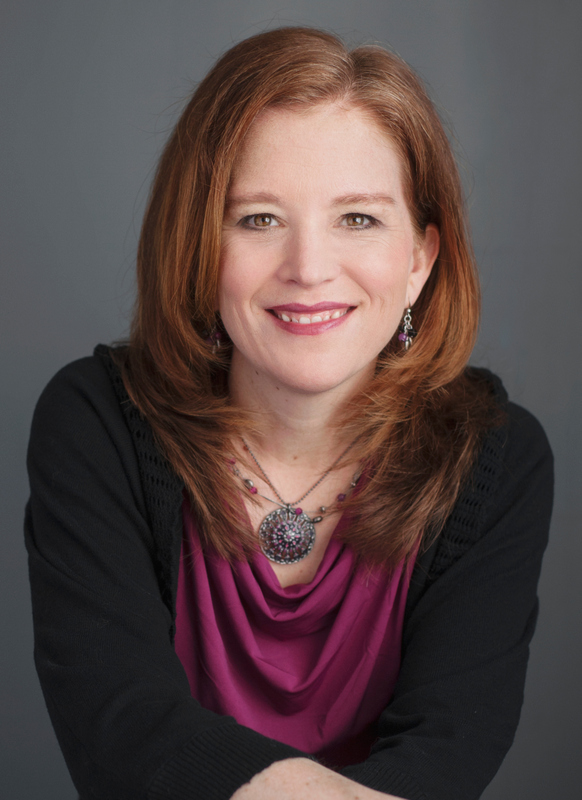 Jody Hedlund is a best-selling and award-winning author who loves history and happily-ever-afters. 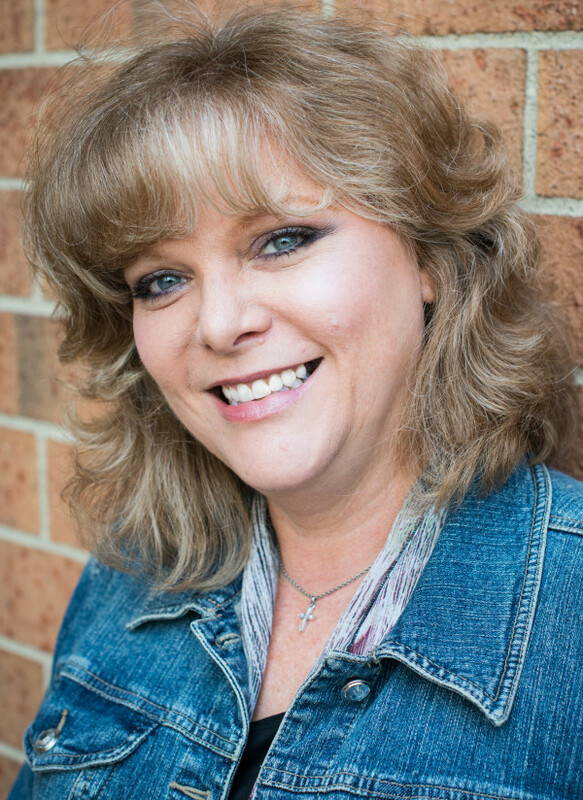 She makes her home in Midland, MI with her husband and five children. When she’s not writing another of her page-turning stories, you can usually find her sipping coffee, eating chocolate, and reading. Celebrating the release of Luther and Katharina! 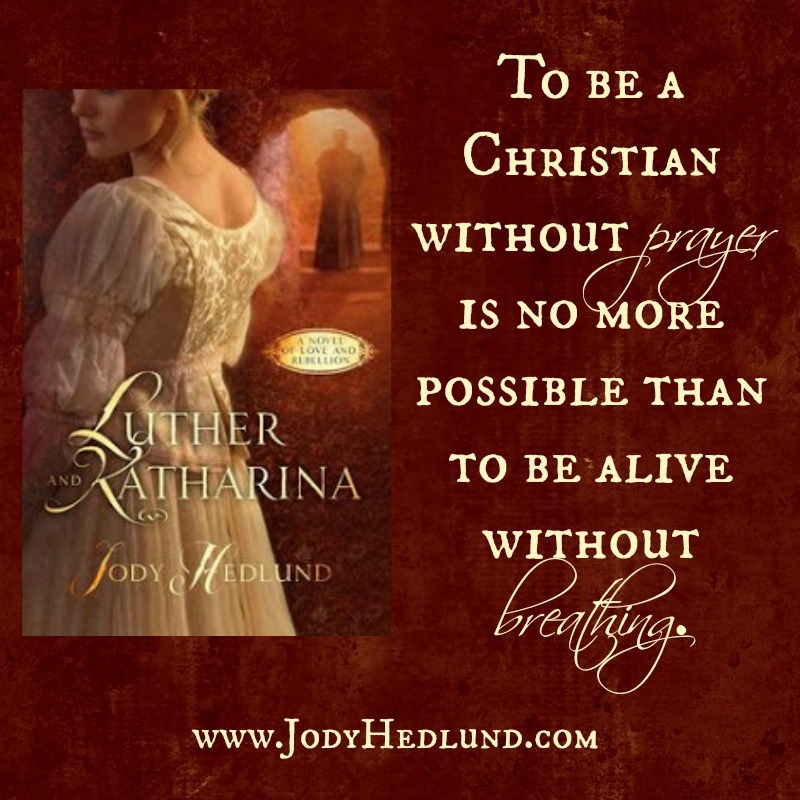 Jody Hedlund is celebrating the release of Luther and Katharina! 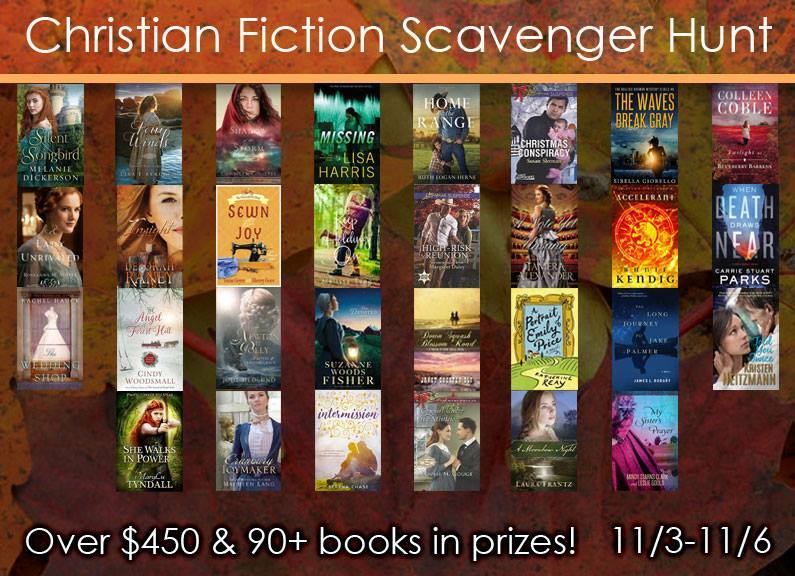 Stop by her Facebook Page this week for fun trivia questions and book giveaways! 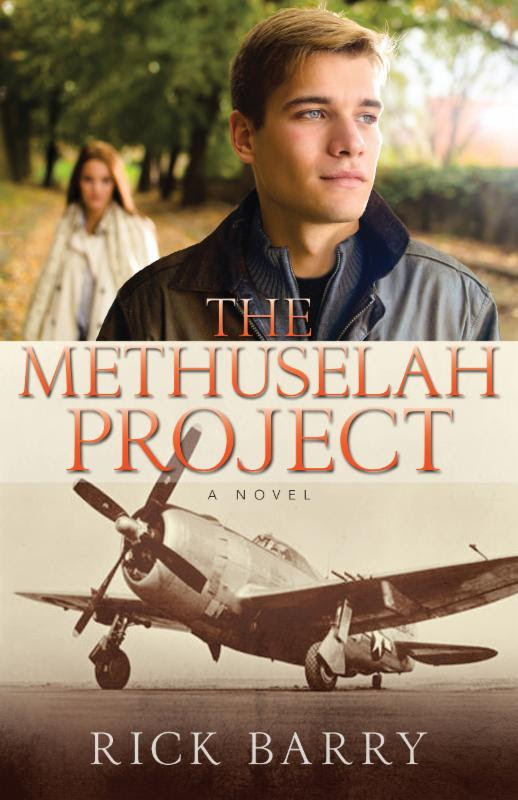 The Methuselah Project is an intriguing story! When Roger Greene’s plane is shot down over enemy territory, he is captured and held as a prisoner of war. However, Roger also becomes a Nazi science experiment, and his life is changed in ways he never could have imagined. I love World War II fiction and enjoyed traveling back in time and meeting this special war hero. Barry’s attention to detail is tremendous and his knowledge of WWII history is evident in his storytelling. I am not usually a fan of sci-fi elements, but those contained in this story were well-written and very engaging. I really enjoyed the convergence of the story lines and reveled in its twists, turns, and surprises. Rick Barry has penned an imaginative tale, and I look forward to reading more! 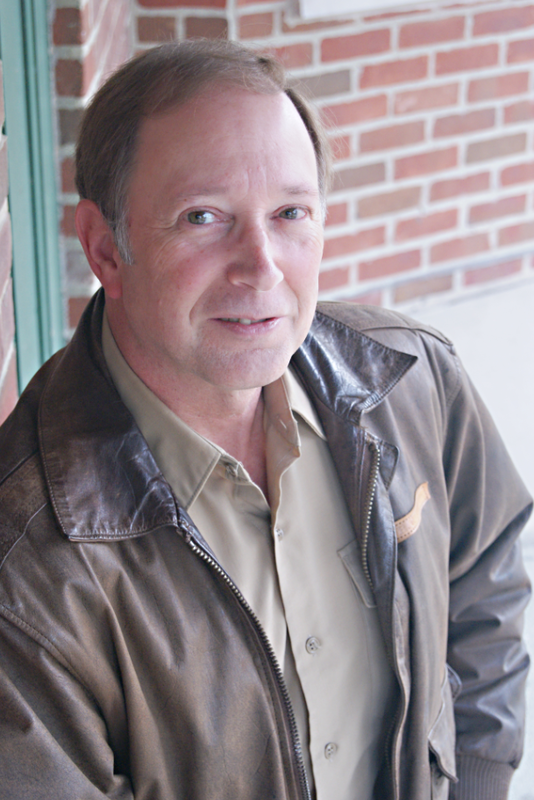 Rick Barry is the author of Gunner’s Run, another World War II novel, Kiriath’s Quest, and over 200 articles and fiction stories. In addition to being a World War II buff, he is the director of church planting ministries at BIEM, a Christian ministry operating in Eastern Europe. He holds a degree in foreign languages, speaks Russian, and has visited Europe more than fifty times. Rick lives in Indianapolis, Indiana. An impetuous love swept Blessing Brightman away from the Quaker community, into the highest ranks of Cincinnati society. But behind the glitter of ballroom and parlor, her spirit slowly eroded in an increasingly dangerous marriage. Widowed young, determined never to lose her independence again, Blessing reclaimed her faith and vowed to use her influence to fight for women’s rights and abolition.Gerard Ramsay, scion of a wealthy Boston family, arrives in Cincinnati hoping to escape his father’s clutches with a strategy that will gain him independence. His plan is soon complicated, however, by the enchanting widow. Never before has a woman spoken as if she’s his equal–or challenged him to consider the lives of others.In a city nearly ablaze with racial tensions quickly dividing the country, can two people worlds apart possibly find common ground? 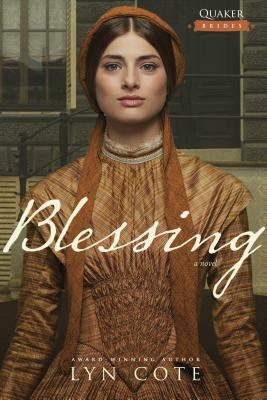 Blessing, Book 2 in the Quaker Brides series, is a captivating story! Blessing Brightman is a woman who speaks her mind and is determined to fight for women’s rights and abolition. Gerard Ramsay is man eager to escape his father’s control. Both tenacious characters, I enjoyed getting to know Blessing and Gerard and experiencing their emotional and spiritual journeys. Lyn Cote’s dramatic portrayal of historical events really brings this story to life. Delving deep into a tumultuous time in our nation’s history, Cote blends fact and fiction creating a compelling narrative. I loved Blessing’s story and am eager to meet Faith in the final book of the series! While Blessing is a stand-alone story, it does revisit beloved characters from Book 1, Honor. Both of these novels, as well as the series prequel, Where Honor Began, are recommended reads for fans of historical fiction. I received a complimentary copy of this book in exchange for an unbiased review. I appreciate the opportunity to read this story and share my thoughts. 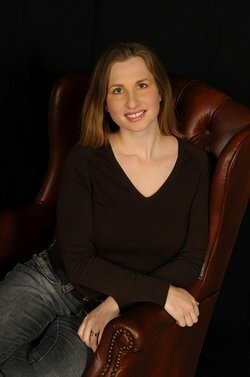 In 1997, Lyn Cote’s first book, Never Alone, was chosen for the “new” Love Inspired romance line. Since then, Lyn has had over thirty-five novels published. In 2006 Lyn’s book, Chloe, was a finalist for the RITA, and her book Her Patchwork Family was a finalist for the Carol Award in 2010 and Her Healing Ways won in 2011. These are two of the highest awards in the romance genre. Lyn’s brand “Strong Women, Brave Stories,” always includes three elements: a strong heroine who is a passionate participant in her times, authentic historical detail and a multicultural cast of characters. 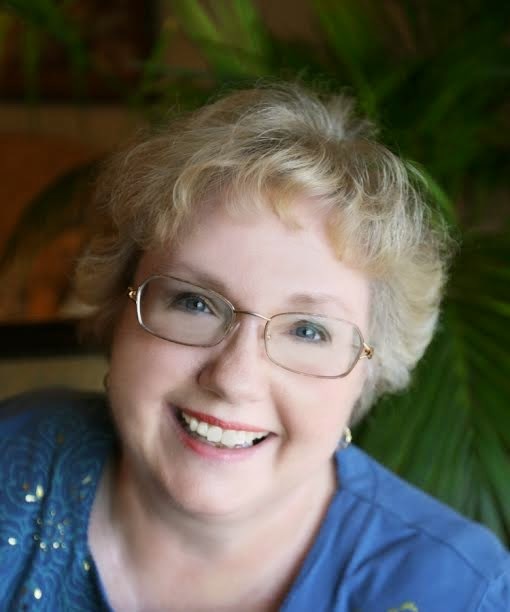 Lyn also features stories of strong women both from real life and true to life fiction on her blog http://BooksbyLynCote.com. Just as the tagline promises, love and danger collide in Elizabeth Goddard’s latest Mountain Cove release. While fans of the series will enjoy David Warren’s story, each of the Mountain Cove books can be enjoyed independently. Backfire is an exciting story! Tracy Murray and David Warren are vulnerable characters who have been deeply affected by traumatic events. Both are struggling to overcome their pasts and must rely on each other to secure their future. I enjoyed these characters, as well as another special character, Solomon. I thought this search and rescue dog was a great addition to the story line. Dramatic and intriguing, I enjoyed this Alaskan adventure! 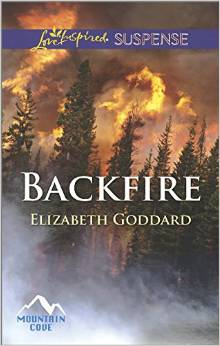 A complimentary copy of Backfire was provided by the author in exchange for an honest review. I appreciate the opportunity to read this story and offer my honest opinion. Tracy Murray had thought she’d be safe disappearing in the wilds of Alaska after her testimony put away a gang leader. But the gang symbol tattooed on an attacker’s arm means the clock has run out. She’s been found—and she knows the killers won’t let her escape alive again. She can’t fight an entire gang alone—she needs help. 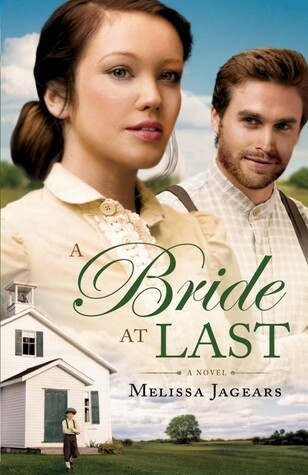 But when she finds herself relying on widowed firefighter David Warren, a new struggle emerges. Fleeing Alaska and cutting all ties could be the only way to survive…but it would mean leaving her heart behind. To learn more about Elizabeth and her books, visit her website at http://elizabethgoddard.com.